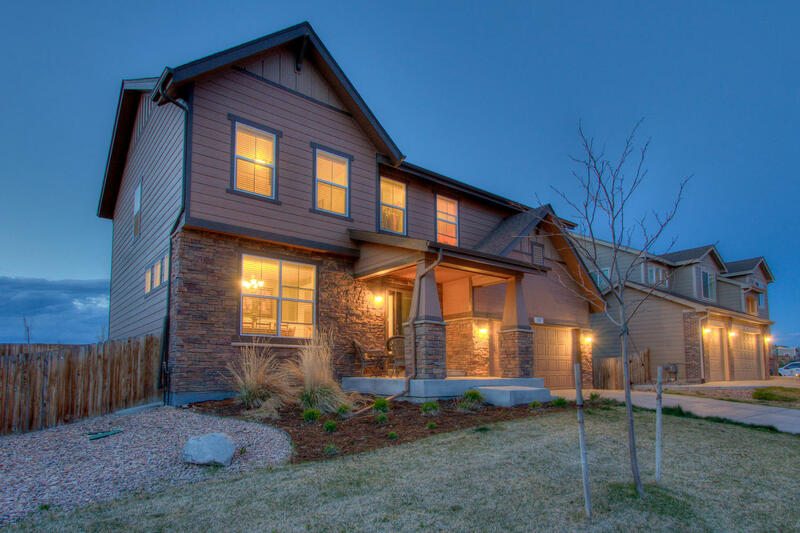 A Pioneer Ridge Beauty -almost Brand New 2014 and Charmingly Customized - Open 2 story at 2,604 finished square feet with 3 Bedrooms+Bonus or Study with a closet easily convertible to a 4th Bedroom with 3 baths. Huge Covered patio at 280 square feet, SLAB Granite, Stainless Steel appliances with Gas Range, 5 Piece luxury Master Bath, All walk-in closets on the upper floor! Gorgeous Hardwood floors, dark maple 42” cabinetry with roll-outs in the island, convenient 2nd floor utility room & Full Unfinished Basement with 9ft. ceilings & Plumbing Rough-in ready for finishing! 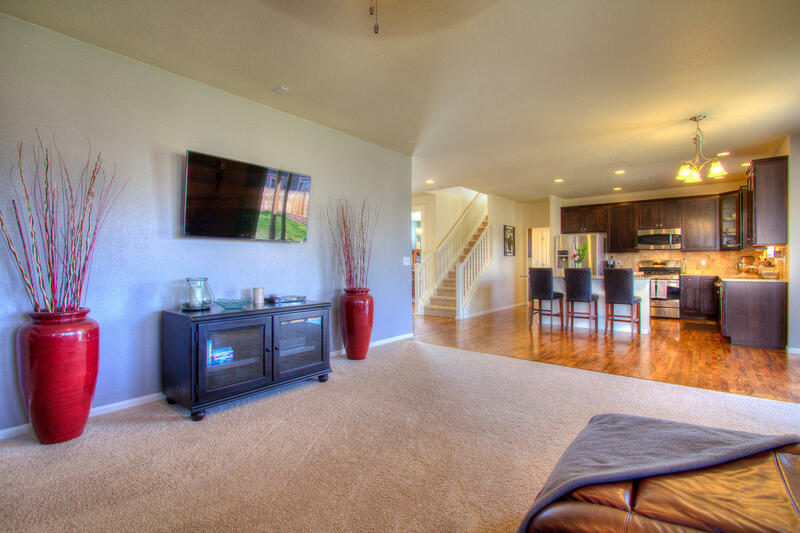 Ample Storage at 3,728 total square feet! This home was designed for entertaining with both a practical and beautifully designed eat-in kitchen. Huge walk-in Pantry and custom granite butler’s pantry! The perfect backyard patio for summer BBQs, fully fenced yard with sprinklers in the front and back/custom concrete edging in the backyard. 50 gallon hot water heater, high efficiency furnace, central A/C and ceiling fans throughout and cozy Gas Fireplace in the Great Room! Dry stack stone exterior and convenient ideal south facing exposure! Amazing 2nd floor with spacious secondary bedrooms versatile Bonus room/study or easily convertible to a 4th Bedroom! 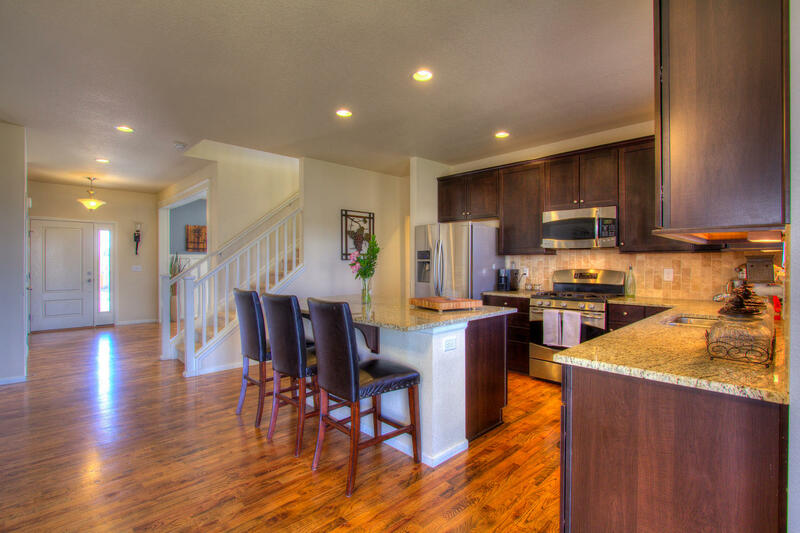 Don’t miss the customized barn wood entry and wainscoting in the formal dining room!